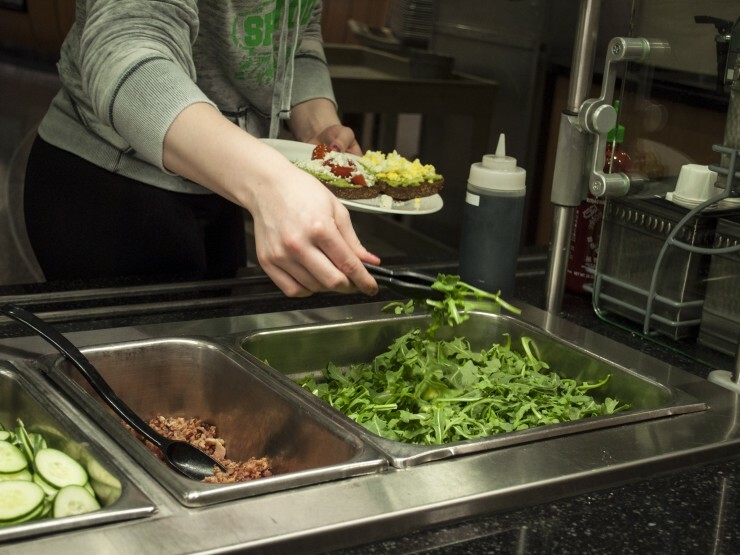 Dining on campus is a distinct experience at Concordia College. 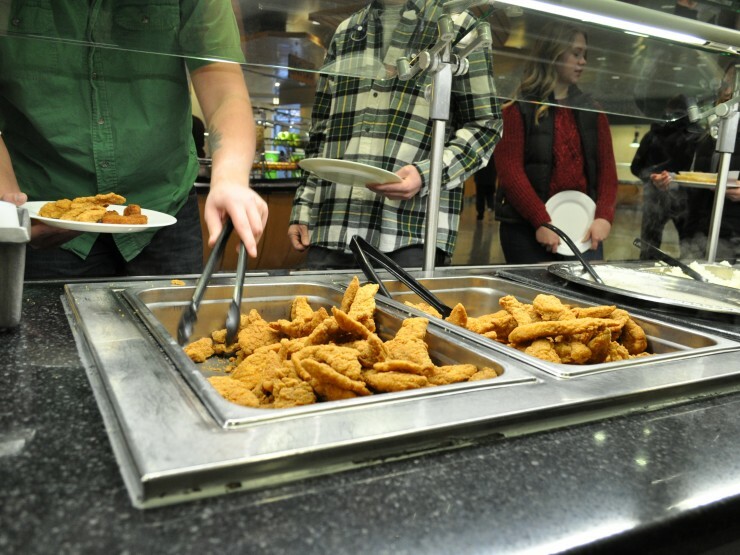 With a highly trained culinary staff dishing up selections like asiago vegetable eggbake, blackened tilapia, and apple tarts with crumb topping, students enjoy unique menus with healthy choices around every corner. 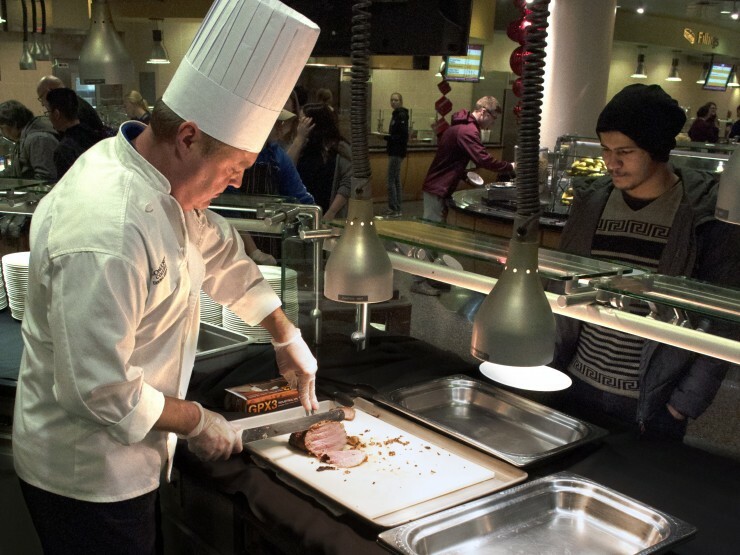 Food is never far away with four Dining Services options located in the Knutson Campus Center. 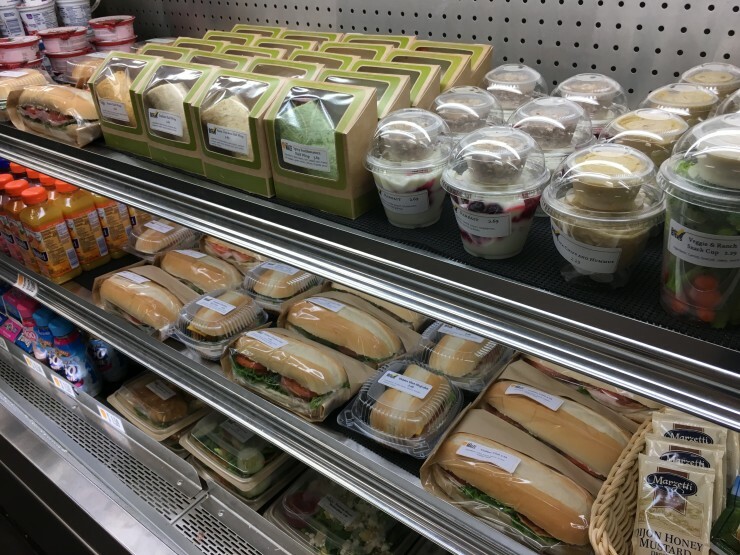 Fillings is a fresh-to-order deli with both hot and cold fillings and a variety of breads. Explore presents authentic ethnic cuisine with a emphasis on global food trends. Comfort features food for meat and veggie lovers alike. Slice is the centerpiece of the servery, with made-from-scratch pizza, calzones and cheesy bread. Al Dente features various sauces and pastas to mix and match. Fresh has all the components to make your own creations using an oasis of produce. Fresh is also complimented by a soup area called Simmer. Bliss features tempting pastries, pies and cakes as well as your favorite muffins, quick breads and coffeecakes for breakfast. Sizzle offers a selection of charbroiled burgers, veggie burgers and fries. Energy, an all-day breakfast bar, offers a variety of cereal, breads, yogurts and nut butters. Quench is the beverage line-up, with a large assortment of hot and cold beverages. You'll find gourmet pizzas, home-style meals, vegetarian and international cuisine. View the daily menu for Anderson Commons below. Anderson Commons also hosts theme meals and a local Thanksgiving feast. Onsite registered dietitians and medically necessary modified diets are available. A five-time award-winner, Concordia's quick service cafe has relaxing chairs, big screen TVs, table tennis, games and, of course, delicious food. You'll find deli sandwiches and wraps, soup, hamburgers, pizza, salads and sides, fair-trade certified coffee and the best fries in the universe at The Maize, which first opened in August 2008 and was named through a student competition. The Maize offers a special takeout menu that you can order online, via email or 218.299.3563 or in person. All of the to-go containers, plates, silverware and napkins are made from renewable resources are compostable. Make sure to partake in the reusable to-go container program called Green To-Go. Receive the weekly menu in your inbox every Monday by joining the email list. View the daily menu for The Maize below. With more than 2,000 items, it's your one-stop shop for snacks, drinks and groceries. The Korn Krib only offers reusable bags and stocks all major brands including Coke, Pepsi, Kelloggs, Post, General Mills, Hershey's and Black Forest. Concordia T-shirts, sweatshirts and other memorabilia are also available. The Korn Krib opened in 1960, was named through a student competition and was named the most popular place on campus in 1977. 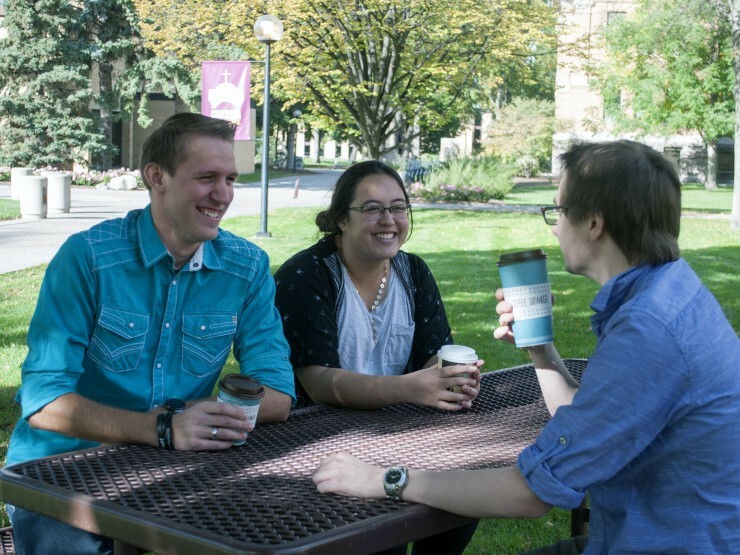 Located in the Knutson Campus Center, the Coffee Stop proudly brews Rainforest Alliance Certified Caribou Coffee – keeping the campus awake, especially during finals. 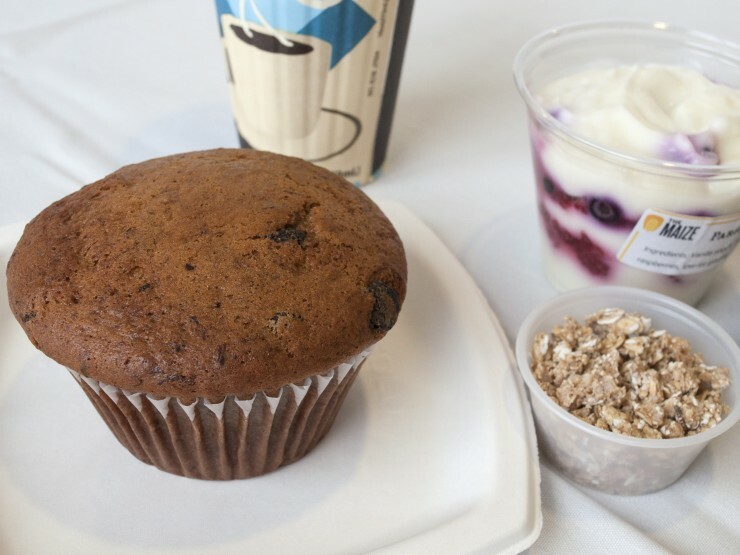 Indulge in a delicious coffee, specialty drink or item from our bakery (jumbo muffins are prepared from scratch daily). Guests who bring a reusable mug save 25 cents on their purchase. The BREW is named as a nod to coffee and the college's core curriculum, Becoming Responsibly Engaged in the World. The coffee shop sells Starbucks coffee, bakery items from Concordia's Dining Services, and sandwiches from Erbert and Gerbert's. 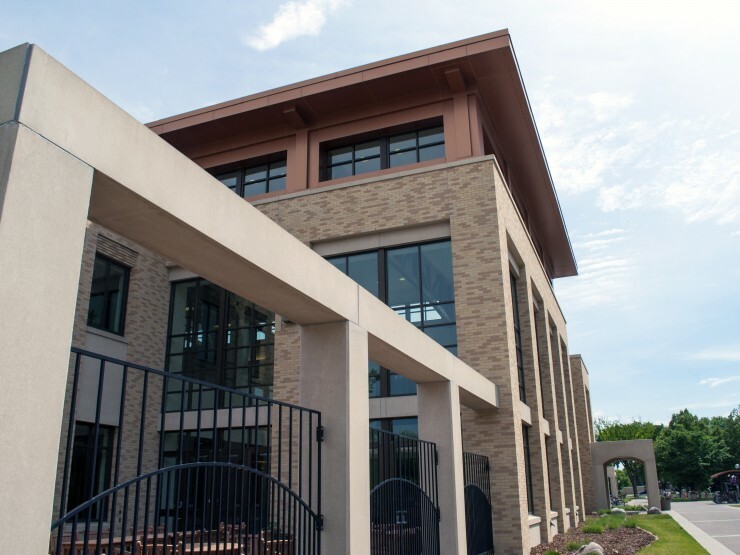 Located in the Offutt School of Business, the BREW is run by student managers, separately from Dining Services, that oversee its day-to-day operations. Thanks to Concordia's vending services, you can always find a quick snack. Catering by Concordia Concessions are also available during sporting events and other activities to fuel spectators. Concession stands accept Dining Dollars, cash and credit card payments.